Flexible Deep Learning Learning – April Workshop! Interested in theory, a practical day or both? 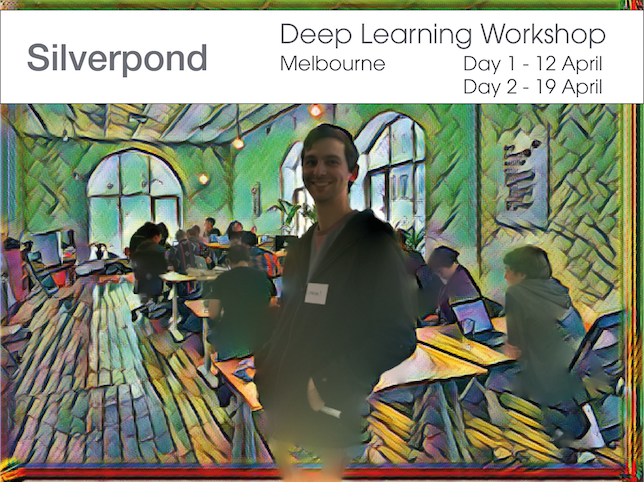 Join our Deep Learning workshop coming up on 12 & 19 April, and pick a day to suit your needs. Completely new to machine learning and deep learning? Join Day 1 to get solid foundational knowledge. Want a chance to exercise your deep learning muscles? Our hands-on Day 2 will focus only on independent model building. Join us for both days to get the full potency of our deep learning coaching. Visit our workshops page for more details and registration.